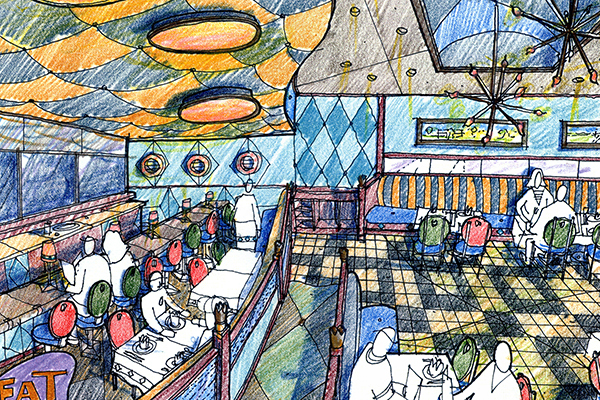 Beat City Diner was a concept developed for the Rock & Roll Hall of Fame and Museum in Cleveland, Ohio. Imagery and aesthetic connecting in a modernistic way to music provided an elevated dining experience for visitors. Beat City Diner upgraded the typical diner experience both in menu choices and in ambience, yet kept it familiar and comfortable to patrons of all ages. 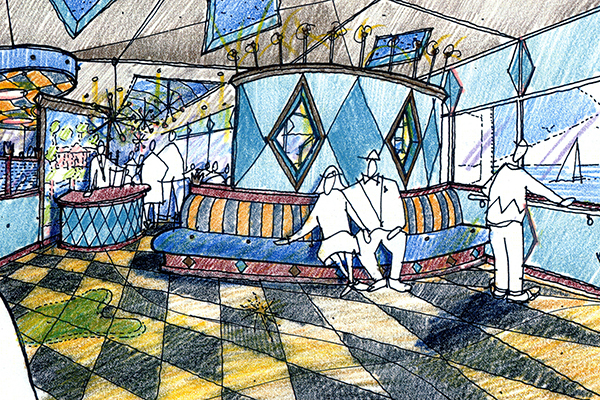 Beat City Diner became the hip dining concept, a perfect fit for the diverse Rock and Roll Hall of Fame audience. The look and feel connect to the 50’s décor but in a sophisticated, yet not white tablecloth way. The logo especially reinforces the restaurant’s emergence as the new beat of dining: familiar, fun, and fabulous.